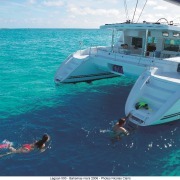 Sailaway is a fleet of two luxury Lagoon 500 catamarans based in Port Douglas. Family owned & operated by Steve and Katrina Edmondson, they are the passionate, hands-on and love to share the wonders of the Great Barrier Reef. They have two children, Guy & Jazmin and Steve skippers Sailaway at least twice a week. 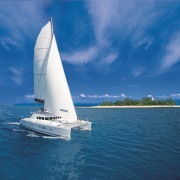 Sailaway takes a limited number of guests from Port Douglas to Low Isles on a daily basis. 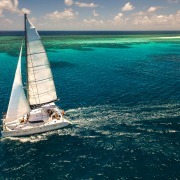 Built by Lagoon in Bordeaux France, Sailaway is the first of Lagoon's new production boats to arrive in Australia. 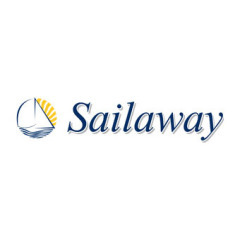 Sailaway sails primarily with wind power. All food and produce served on-board is locally sourced.